I am currently based in Johannesburg, South Africa and loving it. 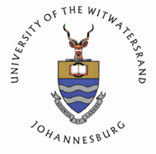 I am a visiting professor at the University of the Witwatersrand’s School of Economic & Business Sciences. In addition to conducting several research projects and beginning work on two books, I will be teaching two courses on strategic management of information systems during the next few weeks. This is my second occasion serving as a visiting professor at the University of the Witwatersrand. Before arriving into Johannesburg, I spent time visiting two other cities in South Africa - Durban and Port Elizabeth.